Nano, Betta, Breeder Tanks, and Beginner Aquariums. Mechanical Sponge with Activated Carbon Chamber. Biological Gravel media for beneficial bacteria growth. 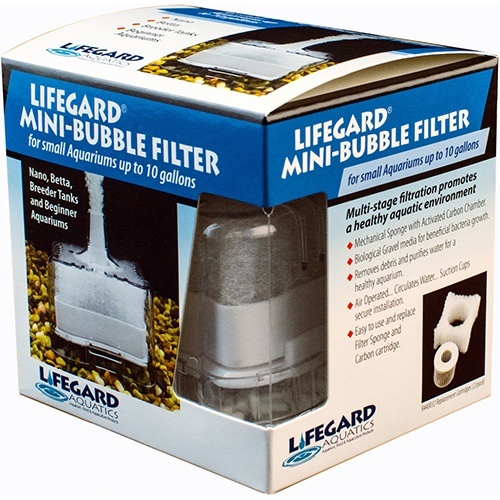 Removes debris in water for a healthy aquarium. Air Operated… Circulates Water… Suction Cups secure installation. Easy to use and replace Filter Sponge and Carbon cartridge.